First mix all slice ingredients’ together and bake in slice tin for 30-35 minutes at 200 c.
And now meanwhile, combine icing all ingredients in a plate or bowl. Then cool slice, and now ice with chocolate icing and sprinkle with extra shredded coconut. 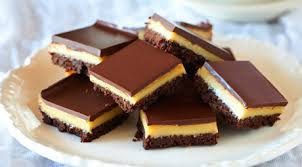 And finally serve this chocolate slice any decorated plate.